This interview broadcasts the message of a young Danish gentleman, who is now a spiritual seeker and walks on the path of enlightenment. This write-up is based on his interview with writer Premanjana Das (Pranjal Joshi), which was conducted on 14th February 2018 in Jaipur, Bharat. Views expressed here have been shared by Jacob. 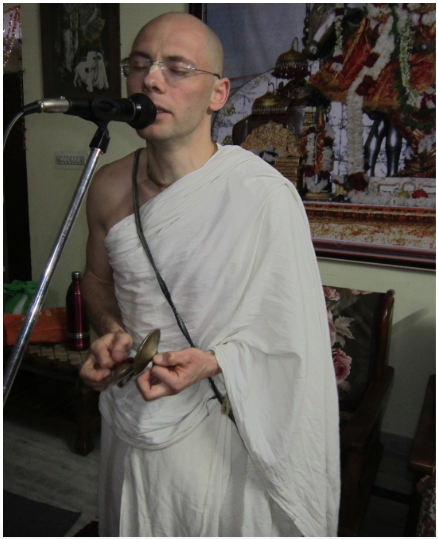 Jacob Holck Nielsen is a young devotee of Bhagwan Krishna from Denmark and is now known as Bhakta Jacob (bhakta means devotee). 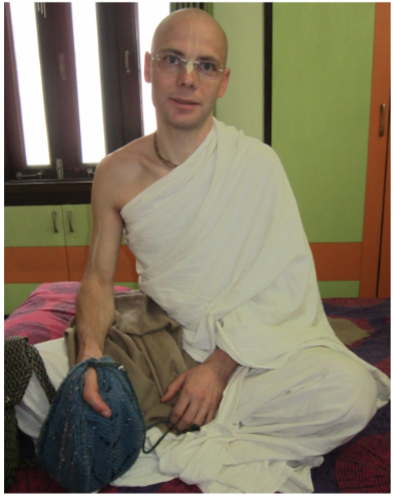 Jacob loves Bharat as he feels that Bharat is ‘punya- bhoomi’ (a land of piety) and has the greatest spiritual wealth, but he feels unfortunately nowadays Hindus too are adopting western ways of living and have become materialistic. He feels that western civilization is formulated on the animalistic propensities of sleeping, eating, mating and defending. The human form of life is very valuable, it is meant to obtain spiritual happiness. If we miss this chance, then we don’t know what our next life would be! Sanatan-dharma (in Sanskrit, Sanatan means eternal and dharma means duty) is eternal religion, it teaches man to love God. It’s not by changing religion that we can find God. Real love for God is within us, which we need to discover and experience, and the greatest opportunity to do that is with those living in Bharat. Great saints and sages have stated that the greatest happiness is spiritual happiness, so we must make an effort to achieve that. In Bharat, people are being misled by media. The purpose of life is not to live to satisfy demands of body and senses. Jacob is a fine example of how spiritual persons or devotees with non-Bharatiya bodies are making the people of Bharat remember that the purpose of their lives is not sense gratification and that they must work hard to practice and preach their own spiritual beliefs or Krishna Consciousness. Jacob shares a special bond with Bharatiyas and sets an example for people bewildered by materialistic civilization by teaching them the purpose of religion and helping them return back to Godhead.